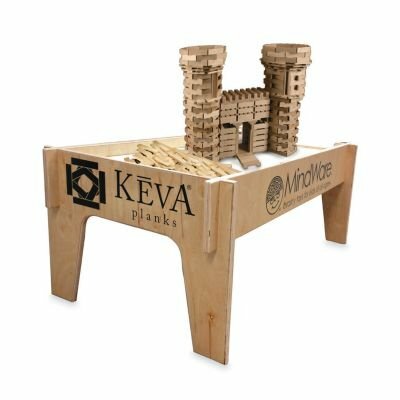 Use the KEVA play table to keep your constructions elevated and safe. Notched table sections easily slide together--no tools required. The entire perimeter of the table has a raised edge to prevent planks from sliding off, so your building area stays neat and tidy. Assembled table measures 19"D x 42"W x 20"H.
If you have any questions about this product by Mindware, contact us by completing and submitting the form below. If you are looking for a specif part number, please include it with your message.